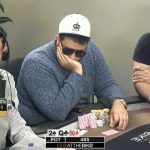 If we learned anything from poker in 2017, it was clear that nice guys don’t always finish last and sometimes the “bad boys” end up being felted. 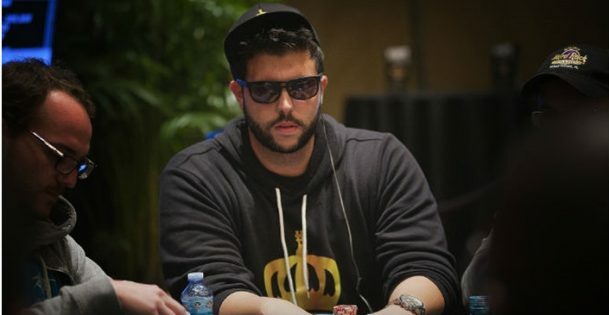 Just ask Salomon “Hashtag King” Ponte, arguably the most controversial of all the year’s poker antagonists. Ponte had his 15-minutes of fame in the first half of the year. He burst onto the scene flashing gold chains, wads of cash, and his branded “Hashtag King” gear. But all he has left, apparently, is a bruised ego, and possibly some injured ribs. 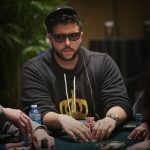 Hashtag King claimed to be the best poker player in the world and called out poker’s biggest stars, such as Daniel Negreanu, Doug Polk, and Shaun Deeb. He challenged Polk to a $1 million heads-up match, but couldn’t put funds in escrow to guarantee the match, which thus never happened. Ponte continually insulted poker players and got kicked out of casinos for childish behavior. He wasn’t even a “love him or hate him” player since few in the poker community actually liked him. When put to the test and challenged to prove his poker skills, he backed down. Hashtag King got plenty of attention due to self-promotion, but it appears the self-proclaimed “greatest player in the world,” doesn’t have any money to get back in the game. Nice knowing you, Mr. King. He hasn’t been heard from since May, though a video did surface that has some people believing his troubles have only compounded. 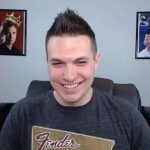 Mike Dentale and Cate Hall are adored and despised by the opposite groups of poker people. And unsurprisingly, at least publicly, they seem to hate each other. Hall, a self-described “social justice warrior” liberal who hates President Donald Trump with a passion, defeated Dentale, a Trump-supporting anti-liberal, in a heads-up match in March on Poker Night in America. 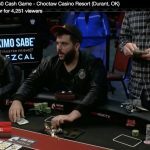 The feud began late in 2016 when Dentale criticized Hall’s poker skills on Twitter. That led to a lengthy back-and-forth of insults and the inevitable “HU 4 rollz” challenge (poker Twitter-speak for, “let’s settle this on the felt”), which the so-called SJW won handily. Both players have their haters. Liberals despise Dentale for being what they perceive is “rude” and “sexist.” And the #MAGA crowd seem to deplore Hall for her constant criticism of the president in their poker feeds. These two are proof that opposites don’t always attract, though whatever tension does exist between them was quite compelling to poker fans. Chris “Jesus” Ferguson was once a beloved member of the poker community. He’s now about as adored by poker players as getting two-outed on the river by a donkey. To the dismay of some around the poker world, Ferguson was back in the limelight in 2017, thanks to a memorable summer at the WSOP. He left Las Vegas in July as the Player of the Year leader after having cashed in a record 17 events. Fortunately, for his haters, he didn’t win a bracelet this summer. But he sure did ruffle some feathers along the way. And in the end. he’d would win a bracelet at the WSOP Europe, and in the process locked up his place in history as the 2017 WSOP Player of the Year. Salomon Ponte is an average guy who gained ultra-confidence by winning an event. In fact, it just goes to show that he reached his full potential by his behaviour. He knows he can’t win much more, maybe he was lucky, that’s why he brags and flashes all over the place. It’s as good as it can get and he makes the most out of it. A similar thing to what is happening in MMA with Conor McGregor, the same flashiness and cockiness to get the spotlight on him. It’s kind of a strategy, it’s all for show and shows do get money, regardless if it’s a good or bad person. It somehow makes the world a better place when Big Mouth Poker Antagonists like Ponte end up felted. I mean really, how is being a “bad boy” helping anyone or poker? And too bad the odd couple (Dentale and Hall) had to bring politics to the table. Spewing insults at each other in their poker feeds only spread their hate to poker fans who became more angery – who needs it? He then went on to WSOP Europe to lock up the 2017 WSOP Player tital by winning a bracelet! Besides “ruffling some feathers along the way” Chris Ferguson had a great year! Sometimes young players think, that his antagonists aggressive ego testifies to their values! If it is his life, I know that he is a poor player which is immature to win and will lose it quickly or brain is so small. Only players with good superego is ready to win, becouse soul is ready for the development of human values! Some new players have achieved prominence in the scenario of the game due to their attitudes that put to test the technical quality of some great players. In my opinion the great players should be respected mainly for the contributions that they offered to the game!